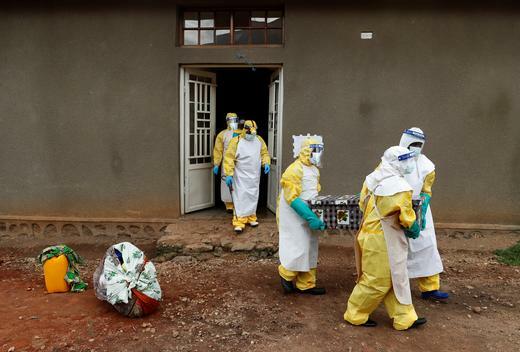 DRC Ebola death toll passes 500 - SABC News - Breaking news, special reports, world, business, sport coverage of all South African current events. Africa's news leader. The Ebola outbreak started last August in the North Kivu region, which borders Uganda and Rwanda. More than 500 people have died from the latest outbreak of Ebola in the Democratic Republic of Congo (DRC), but a vaccination programme has prevented thousands more deaths, the country’s health minister told AFP. “In total, there have been 502 deaths and 271 people cured,” said a health ministry bulletin published late on Friday, reporting on the outbreak in the east of the country. But Health Minister Oly Ilunga Kalenga said that, for the first time, a vaccination programme had protected 76,425 people and prevented “thousands” of deaths. “I believe we have prevented the spread of the epidemic in the big cities” in the region, he said. “The teams also managed to contain its the spread of the epidemic to neighbouring countries,” he added. “The biggest problem is the high mobility of the population,” the minister added. The outbreak started last August in the North Kivu region, which borders Uganda and Rwanda. The Spanish wing of the aid agency Doctors Without Borders (MSF) reported on Twitter Saturday that there had been a surge in cases since January 15. Rwanda, Uganda and South Sudan, further north, were all now on alert, it added. The security situation in the east of the country, where armed rebels have terrorised the population for years, has made treating the disease difficult. This entry was posted on 10 Feb 2019,08:54AM at 8:54 AM and is filed under Africa, Homepage Latest Stories Slider. You can follow any responses to this entry through the RSS 2.0 feed. Both comments and pings are currently closed.